At this time in my life, there are few words to describe the euphoria in my soul when I am listening to my musical creations. I’ve mentioned how I sometimes hear a voice in my mind that channels lyrics and stories for me. It grows louder and louder until I am compelled to listen. If it’s words, I must write them down. If it’s a melody, I’ll play my guitar or sing. Creating a song is almost like a birth. It swells inside of me, until it breaks free. I see each and every one of my songs as a unique entity and like a child, each one has it’s own personality. Just as a baby grows, so do my songs. Sometimes I’ll arrange them in different ways, and then they are like multiple births! All of my songs were seeds. It is at this beautiful time in my life that I am growing and developing them. 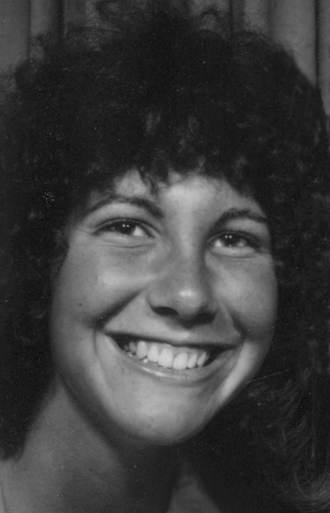 Recently, I wrote about how my grief was like a forest wildfire. Out of the blackened devastation, a new forest began to grow again. 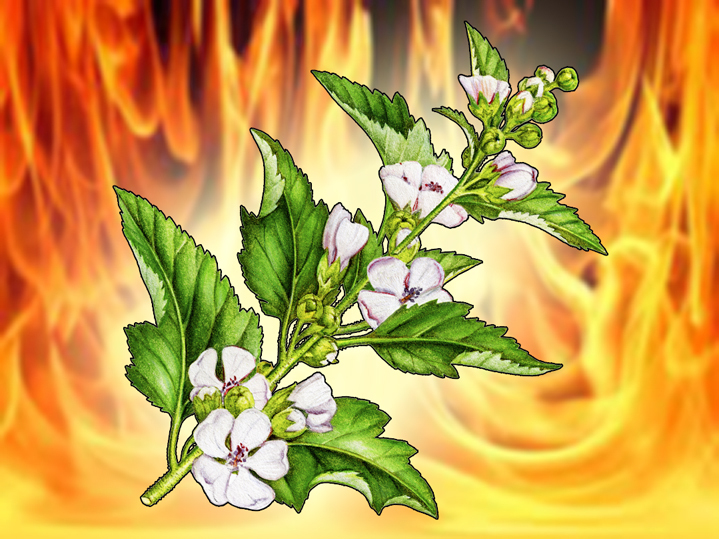 Then I mentioned my awareness that there were certain wildflowers that only grow as a result of a fire; that was my high school biology coming back to me. When I was younger, I smiled continuously. There was a reason that I wrote that. Originally, I thought that I was one of those flowers, but then I had an epiphany. 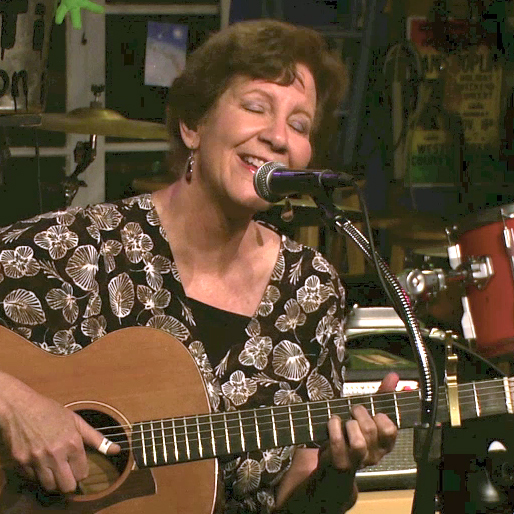 My songs are those wildflowers! It turned out that the grief that once wrecked my life, gave me a gift to access my heart in a very special way. Grief allowed songs to blossom that might never have been born otherwise. And believe it or not, now I’ve decided that this concept applies to my separation and divorce. I am grieving my marriage and former life. If a fire was my metaphor for grief, it made sense that I pictured fiery imagery to describe my current feelings. Recently, I’ve written about journeying through a burnt landscape and dealing with a fire-breathing dragon. Therefore, the “fire of grief” is the fuel that allows me to compose. My divine song creations inspire and heal me with their beauty. I eagerly share them because I love to help and inspire others. Well, the final word is that my Previa is not worth fixing. It has been many years since I’ve had a new car. I know this sounds silly, but I am mourning the death of my minivan. It was the first and only new car I ever purchased in my life. I bought it the same year my daughter was born, and they’re both 19 years old. My Previa carries many memories for me and I plan to write more about it. 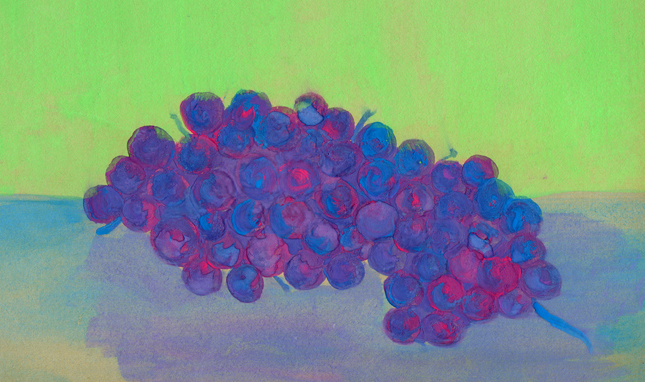 A painting of grapes I did at age 10. 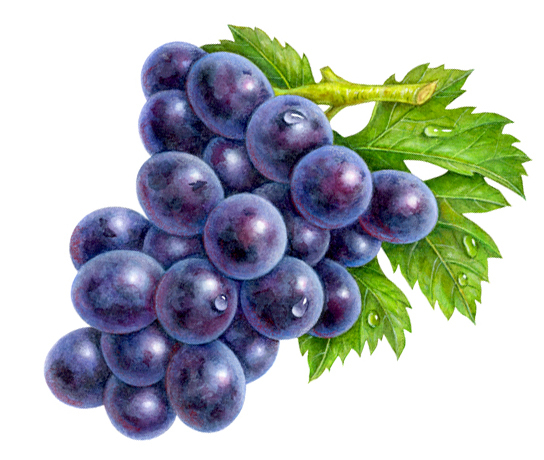 A painting of grapes I did in my forties. Unfortunately, last week I bit off most of my fingernails. It was not a good sign for me. I had been so proud of growing them when I first began healing. Before that, I was a nail-biter all of my life. For such a long time, I was so sad. I carried the world upon my shoulders and did not ask for help. But I have changed a lot. I am leaning on friends and family. 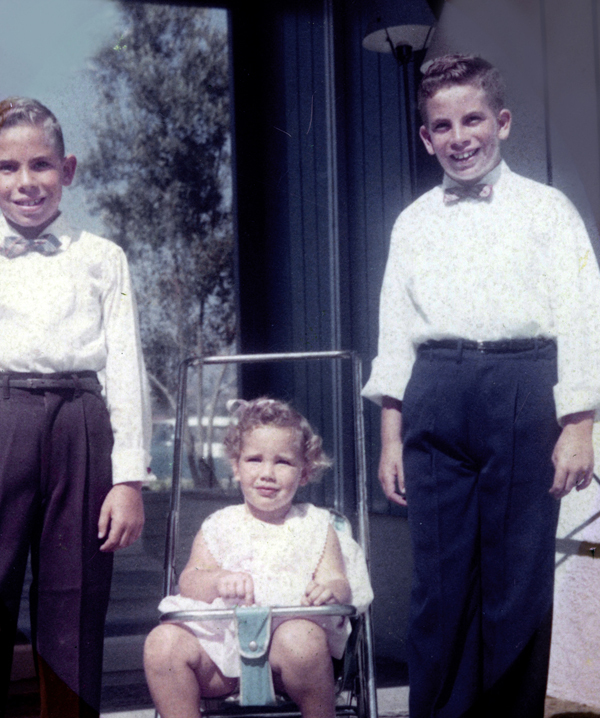 At this time in my life, I am fortunate to have my two older brothers looking out for me. My oldest brother is negotiating the best lease deal possible for me on a Honda Civic. My middle brother has lent me a car until I make a decision. My parents would be so proud of them! I’ve continued attending hypnotherapy sessions. When I see my hypnotherapist Connie, I am always passionate and enthusiastic as I share with her my latest musical creations. Yet when I speak about other aspects of my life, sometimes I find myself weeping. I have been frustrated how I began my journey feeling joyful and light, only to gain my weight back. The heaviness that eclipsed my joy actually began well over a year ago. It led up to gathering the courage to end my marriage. Connie was supportive, but could only do so much. Hypnosis only works when a person wants to change. I have not felt ready to diet or exercise more, even though it would certainly help me if I did. On Saturday morning, I began our recent session by telling Connie how my eyesight was really bothering me. 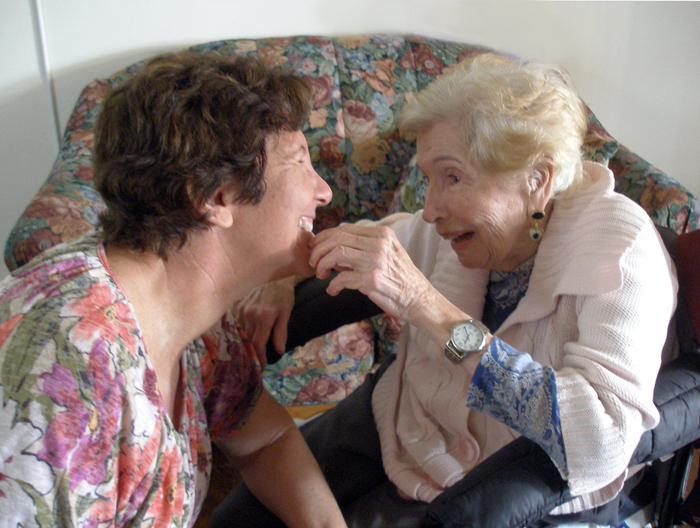 Connie was always compassionate as she listened. All of my other stressors were worse because my eyes always hurt and felt tired since my cataract surgeries. It was as if I were wearing uncomfortable contact lenses that I couldn’t remove. I had considered going back to see my ophthalmologist, but didn’t really see any solution. At my final appointment, I was told to just continue putting in artificial tears, and so far that hadn’t made any difference. I also felt frustrated that my close-up vision was so poor. Glasses simply did not allow for the intricate details that my younger eyes were once able to see. I continued with more self-pity. I am so human! It was time for me to do “discovery work” while under hypnosis, which would allow me gather information from my subconscious. I was definitely ready to discover anything that would help me feel better. I relaxed and settled into a soft reclining chair before our hypnosis began. The light from outside filtered through a window and illuminated the room. I loved examining her beautiful garden when I’d walk by, and now the flowers outside sparkled in the sunlight. Connie’s warmth usually brought me to tears; I missed my mother so much and it felt so nice to be cared about. She covered me with a soft blanket, and gently adjusted it. It was such a safe place for me to be. My eyes closed as I drifted off into a hypnotic trance. Connie asked me to find a place that felt safe and comforting. As I had many times before, I imagined I was in a forest. It easily popped into my mind, because only recently I had written about how my life was like a beautiful forest. But then it had burned to the ground many years ago. It turned out that fire was my metaphor for grief. My forest grew back and I had deep appreciation for the new growth. I arose out of the ashes and pictured myself as a flower that only bloomed because of a raging fire. It gave me strength and purpose. Then I heard Connie’s voice and she gently asked me to describe my surroundings. I tried to picture it, but could not. Even though I concentrated, I still drew a blank. Where was I? Suddenly, it was amazing how the imagery became vivid. I began to describe my vision. I told her I was in a desert. This painting cropped from a salad package illustration of mine, reminded me of my love for mountains and shadows. As a child, I would stare outside the window for hours as we drove on a family vacation to desert destinations. I loved looking at the colors of the desert. The warm creases of the sculpted mountains with contrasting blue shadows always intrigued me; I held the images in my mind so I could paint them later on. I liked the idea that I was in new surroundings. I had started with a forest and ended up somewhere else. That was a parallel to my life. A forest is packed with growth and a desert is sparse; hence I had definitely downsized. It occurred to me that there was no longer evidence of a fire, either. Even though a desert landscape was often barren, I told Connie how I always found deserts to be beautiful. Deserts held amazing vistas in every direction I looked. And the colors of the sky were always breathtaking. I was able to make a meaningful connection, because there was a way that I could apply this to my life. 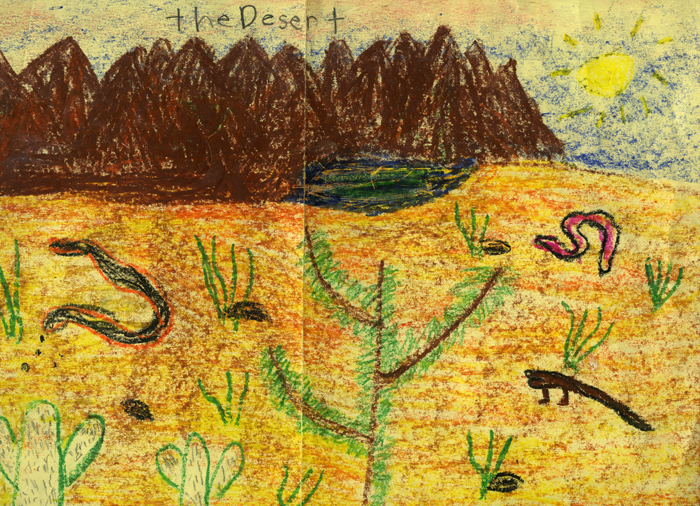 A crayon rendition I made as a young child of a beautiful desert. It reminds me how I loved reptiles. Our session yielded tremendous clarity for me. Not looking too closely, was completely relevant to my current situation following cataract surgery. I decided my disappointment with my eyesight could be reversed if I appreciated the excellent acuity I now had for distance instead. Also, the problems related to my separation and divorce were fairly temporary. If I was able to look farther ahead, rather than focusing on all the smaller issues, I was certain I’d feel better. It was a few days after that hypnotherapy session, when I realized how much that session really helped me. I share some anecdotes about my daily life. On Monday, I had a consultation with a cardiologist to go over the results from my holter monitor. While waiting to be seen, I stared at an illustration of a heart that was on the wall. 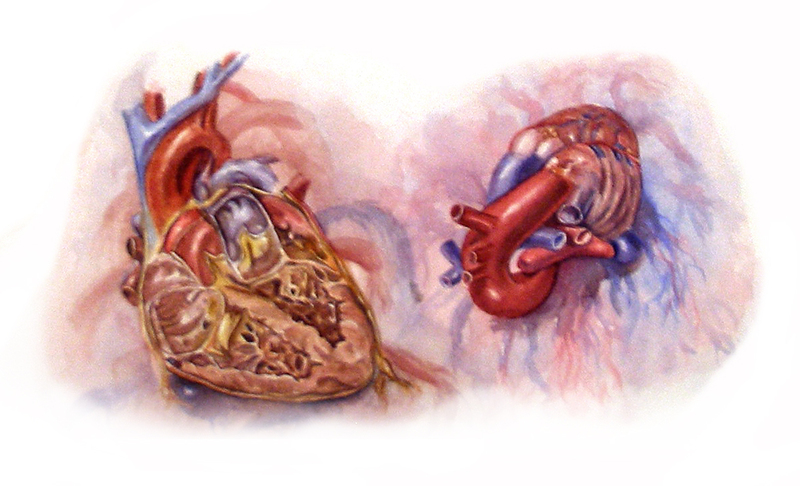 I had created several illustrations of hearts early in my art career. 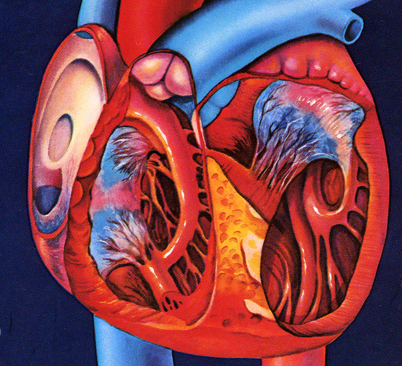 The poster had the word “Heart” in large letters. I love word plays and began to notice all the applicable words in my life that fit into the word heart. I found: art, hear, ear, and he. The word “he” didn’t really fit in, so with irony, I tossed it from my list. My cardiologist wore a turban and was a handsome young man. He made comfortable eye contact with me, and carefully listened as I described my palpitations to him. When I finished, he calmly told me he was not concerned about my extra heartbeats and medication usually made this type of condition worse. He asked me about my level of exercise. I said I planned to go back to playing tennis soon. The fact that I played tennis really impressed him and as a result, he said a stress test was unnecessary. But then as I was leaving, he told me he wanted to order an ultrasound echocardiogram in order to completely reassure me. I would get an appointment for that soon. The next day, my mother visited my home – it was the same home I grew up in and even though my mother had dementia, she was aware of the familiar surroundings. Her caregiver/companion Miriam came with her. Miriam and I caught up on things. Miriam also told me how much she loved my coop/apartment. She was suffering in her own marriage and wistfully looked at my bedroom. My bed had a new brightly colored comforter. I gave myself permission to buy it. I had not purchased a new comforter in a long time. 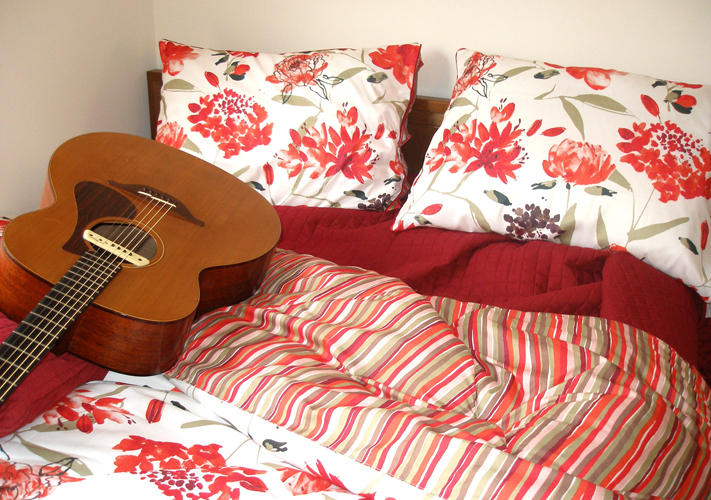 My old bedspread before it was at least fifteen years old. I knew what she meant. It was one of the best parts of my new life. After our lunch, I played my new song aloud for my mother and Miriam. The new arrangement was gorgeous and I put my heart into singing it. It was good practice because soon I planned to record a vocal for it. 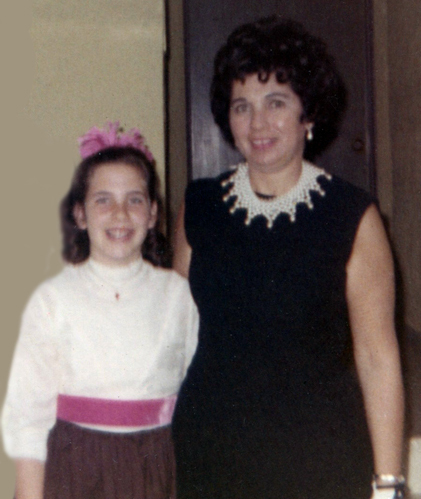 My mother was pleasant and sweetly glowed with a radiant smile the entire time I was with her. I let myself bathe in her smile. 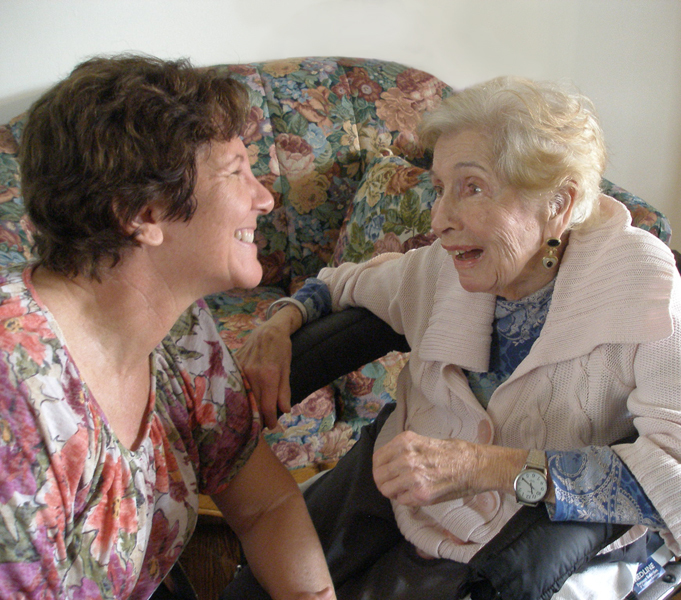 I did not focus upon her dementia and the sad fact that she could not converse with me anymore. For just a moment, I imagined I was looking into the distance. I took a deep breath and savored her presence because I knew that one day I’d miss her smile very much. This picture is the way I want to remember my mother. Dear Sammi, Thank you so much for commenting about my story. So often I feel like I am irritating. I don’t want to upset people who are suffering with their loss and can’t handle hearing about hope. I remember when I was suffering with my child’s death, I was always angry. I didn’t want someone telling me that time would heal. I just didn’t believe it and certainly felt like my pain was too horrible to overcome. Also, I felt like I loved my child more than anyone could. That’s why I continue to share. I share how sad I was, because it reminds me of my progress. The torment of grief is horrific, but you will emerge. It is just a different life. Judy I do not find you irritating. I view you as someone who knows what I am going through. I appreciate your thoughts and experiences. I am having a very hard time right now. I just went through Thanksgiving, and now the Christmas holidays then New Years. There are days that all I do is cry in spurts all day. I was touched when I looked at your beautiful baby boy’s picture. He jumped off the computer with the brilliance if his smile. My son was much older, but still too young. He also was always smiling. I miss that with every beat of my heart. Thank you Judy for sharing your journey. I appreciate it. Judy, I am always moved and learn from your posts. I just don’t write on here often so please don’t feel like you are irritating us. There are probably lots of people like me who are soaking it in quietly. I like reading what you write to help me when I talk to others who have experienced a loss. Keep writing and let us know when your book is published! © Judy Unger and http://www.myjourneysinsight.com 2012. Unauthorized use and/or duplication of this material without express and written permission from this blog’s author and/or owner is strictly prohibited. Excerpts and links may be used, provided that full and clear credit is given to Judy Unger with appropriate and specific direction to the original content. This entry was posted in Healing and Hope and tagged "sandwich generation", Aging Parents, Caregiving, composing, creativity, Daily Life, death, death of a child, dementia, Friendship, grief, grief bereavement "Loss of a Child", GRIEF RELATED, Hypnotherapy, inspiration, loss, lovesong, lyric development, mother, mother daughter relationship, mother's illness, Music, Ordinary Life, original songs, separation, singing, songwriting, writing. Bookmark the permalink. 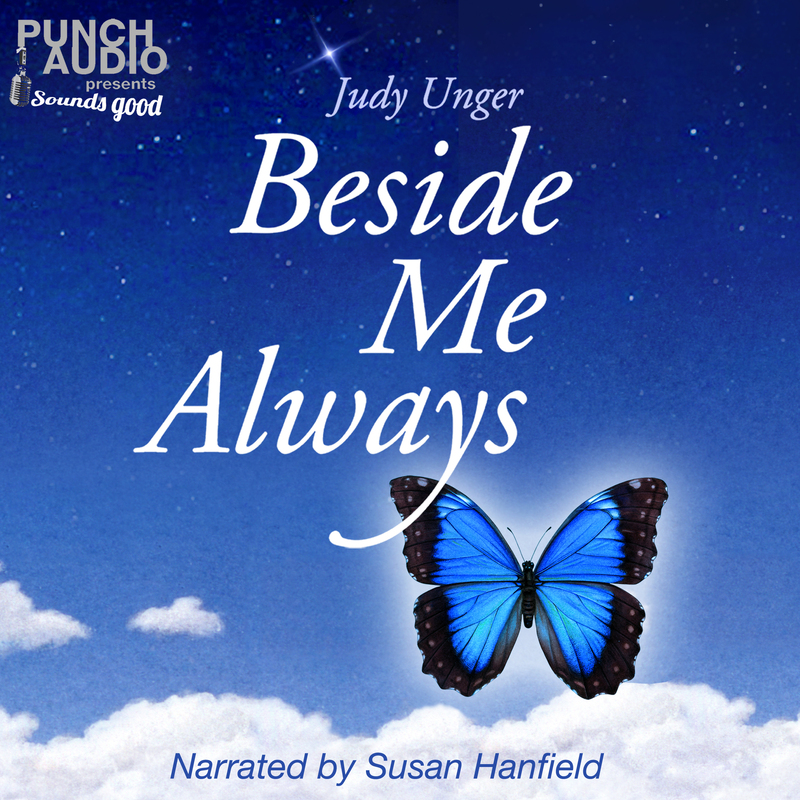 Beautiful instrumental, Judy! I love how you observe and learn…..seeing lesson and opportunity for growth in all of your experiences. And then turn and express it through music. You are an inspiration! Wow, Luna, thank you so much. I sure appreciated your recent observations while assisting with hospice. You are my inspiration. I think that is what is so exciting about this “new life.” It is an opportunity to grow, just as we did when we were much younger. So often, people become “stuck” with their familiar behaviors. It doesn’t need to be that way. Thank you for your comment. This is beautiful – just beautiful.